The Hot-Desking features of the Avaya IP office 500 system allow you to log on at any phone and that phone will then take on the features of your original phone including your extension number, any call forwarding options or pickup group settings. This can be especially useful if you sometimes work at a different location or in fact don’t have one fixed workspace. In order for you to be able to use this feature and log in to a phone you need to get your system administrator to assign you a login code. The very cool thing with IP office Hot-Desking, it doe NOT matter what the origination or destination set is going to be… Meaning, you can have an IP phone normally, but hot desk to an analog conference phone, or a 2 button digital phone. System Administrators: To configure a login code for a user open up the IP Office Administrator console and find the user. 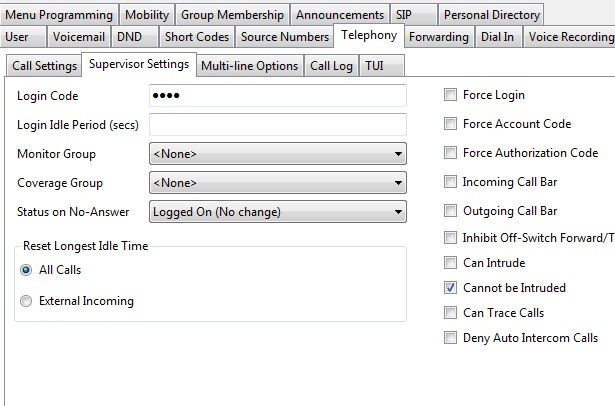 Click on the Telephony tab and then select the “Supervisor Settings” sub tab. Enter a login code. OK this change and save the configuration. This is the code you will need to input to log in to the station. This change can be merged into the running config – no need for a reboot. If you do not need to password protect the extensions, you can make a quick easy short code, that allows quick access between stations. Log into Manager and select the user you want. Go to the Telephony>Supervisor Settings tab. 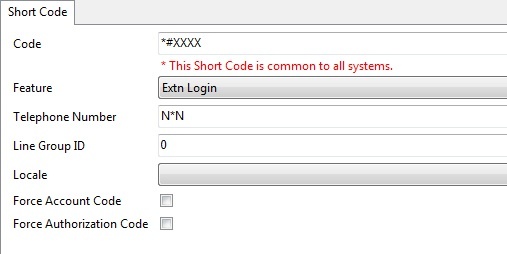 In the Login Code section, enter the extension number (yes, but we said this was for low security). Save and merge that. You will notice a little key icon now appear next to the user to show that they need to enter a code to log on. See the red below…. Now you can go to any phone, just press *#2515 and you will be logged in as that station. That will take the phone where your user used to be, to a “NoUser” state. You are able to make calls (depending on your “No User” restrictions) but can not receive any, as there is no user associated there. To log off, you can enter the default logoff code (if it exists in your short codes) *36, that will take the station back to the home extension. If you do happen to forget to logoff, but dont remember that, UNTIL you get back to your office, you can just log onto that phone by using the same code (*#2515). That will log you off the other station, and you you into this one.